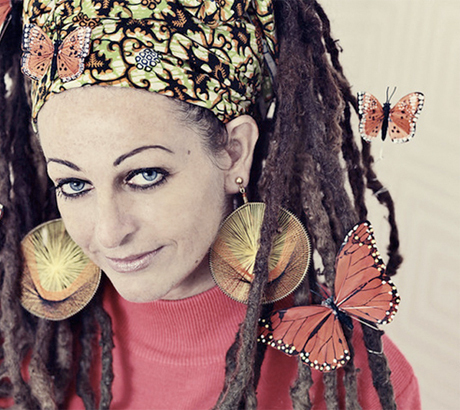 Following last nights (October 20) tragic news that the Slits Ari Up has died, were getting the bands final gift. The new video for the Trapped Animal track Lazy Slam has been posthumously released by the influential post-punk outfits label Narnack Records. Shahin Ewalt of Narnack Records added in a statement: We had the privilege over the last couple of years getting to know Ari both professionally and as a friend. Ari was a rare and beautiful person. She had so much energy, and was full of life. There is no one like her and Im afraid there will never be another Ari Up. She was fearless, pushing the boundaries of music in unprecedented ways. You can hear her direct influence in punk, indie and reggae over the course of the past three decades. She made life fun and was so passionate about music. Ariane very much wanted her music to live on. She was smiling and making things happen through the good and the bad. We will truly miss her. You can watch Lazy Slam, which was directed by Jess Holzworth, below.